Just started my new job this past Monday and I wanted to tell you about the bathroom situation. What's most exciting is everything is automated so there is no thinking involved whatsoever. I remember fondly at my old job that it took a while to get used to washing my hands knowing the faucets were on timers so that the water would shut off automatically. I got so used to it that I often found myself startled that I actually would walk away from a thorough hand washing only to discover that the water was still running when I was somewhere other than work. So I would quickly return to the sink to turn off the knobs chuckling to myself that once again I was fooled by the modern world in which I lived. The sinks are equipped with motion-sensor lights, too. I simply offer my hands under the faucet and the water begins flowing at a pre-determined temperature. Pretty cool. But what's even cooler is the soap dispenser. It's automated, too. I simply put my hands under the dispenser and a perfectly sized dollop of soft soap falls into my opened hands. They should have listed this in my benefits package when I joined the company because this was one of my greatest pet peeves at the old job. We had these two built in soap dispensers where invariability one of the dispensers never had any soap in it unless you pumped it furiously for a few little squirts of soap. You always had to cross your dripping wet hands over to the other filled dispenser for soap. And finally the last luxury of my bathroom experience are the pre-torn sheets of James River paper towels. I simply pull down firmly and a perforated sheet of paper is offered to dry my hands. 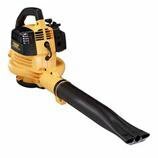 I also have the choice of using one of those hand blower devices, but I don't like those things and will never use them if given the choice. The machine is always too loud. Maybe when I get a pair of Quiet-Comfort headphones with my employee discount will I consider using this device. The bathroom is spotless and one could eat off the floor in there. There are also a few boxes of tissues placed on the marbled counter-tops and a fragrant deodorizer spritzes fresh scents also at pre-determined intervals. My new work bathroom is a modern marvel and I love that I get to enjoy it on a daily basis. Bravo to the designers of corporate toiletry. Well done! So rather than procrastinate any longer, why don't I leave this desk and get outside into the fresh air to start blowing the leaves? A tiny little voice in my head is chanting, "You're on vacation. Don't do any yard work. You're on vacation. Take a nap instead." Somehow I don't think I should be listening to my tiny little voice anymore.